Multitools and pocket knives are great tools to have around. We love them because they can perform a wide range of tasks with just a single tool. However, a single tool cannot do every single task so we end up having different multitools for different occasions. The Switch V2 Modular Pocket Knife on the other hand has a very interesting feature. It allows the user to customize the pocket knife with the attachments that are needed depending on activity. 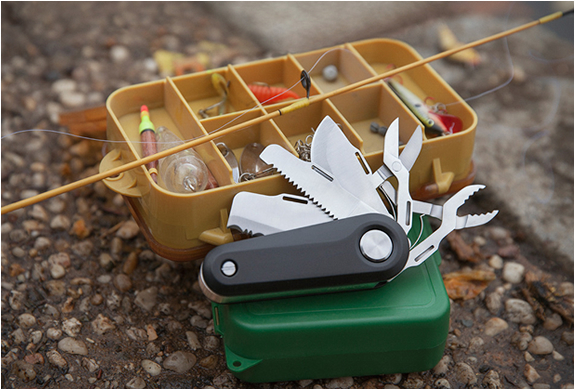 For example, if you are going for a fishing trip, you can select the scissors, serrated blade, bottle opener and tweezer. If you are going camping then perhaps the wood saw, pliers and LED flash light attachments will be more useful. You can choose from a total of 12 different attachments that provides 16 different functions. Watch the video below to see how easy it is to customize the Switch V2 Modular Pocket Knife. 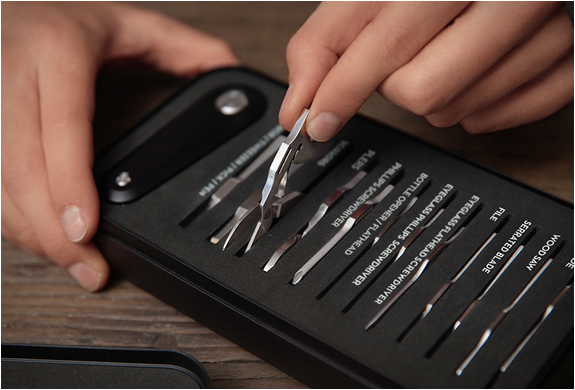 Customize the Switch V2 Modular Pocket Knife from a choice of 12 different attachments offering 16 different functions. Quirky is an invention company headquartered in New York City. Quirky brings products to the marketplace through interaction between the online global community and Quirky’s product design staff.